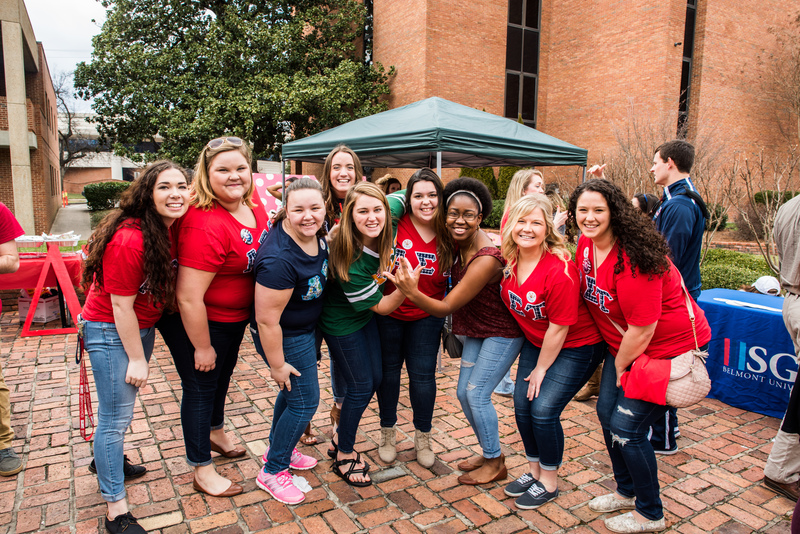 Belmont celebrated its 125th Anniversary Homecoming Feb. 18 – 20 and Bruins from all over returned to campus to take part in the festivities. This year’s event featured a campus-wide canned food drive supporting Second Harvest Food Bank, a ‘Homecoming in the Round Concert,’ numerous reunions for colleges and student organizations and a basketball doubleheader with the Bruins’ men’s and women’s teams. The Curb Event Center saw impressive numbers for Saturday’s games against Tennessee Tech as more than 5,000 Bruin alumni, faculty, staff, students and neighbors cheered both teams to victory. The men’s and women’s teams played their final game in the Curb for this season and honored their seniors with send-offs. Both teams walked off the court for this season’s final home game with victories. The women defeated Tech’s Golden Eagles 70-49 and the men’s final score was 95-86. For photos from the weekend’s events, click here.